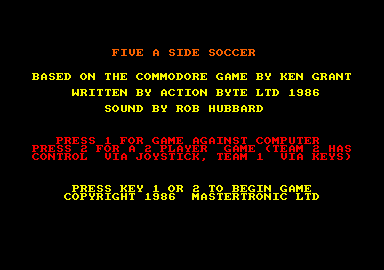 Mastertronic have been producing some excellent games lately and I suppose the run had to come to an end somewhere. This is it. As football games go it's one of the worst I've seen. It doesn't even deserve a 99p pricetag, never mind the £2.99 it's costing. 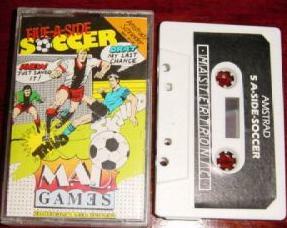 It follows the familiar pattern of other football games, but with less impressive graphics and gameplay. The pitch is viewed from the side and is composed of three screens, a goal at each end. The teams have five players each (seems logical for five-a-side football) with one player as the goalkeeper , who can't'be. moved out of the box around the goal. The pitch is narrow. 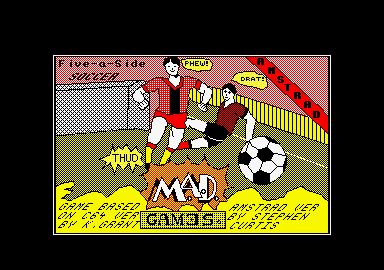 Because the rules are five-a-side there aren't any comers, throw-ins or any other set pieces. 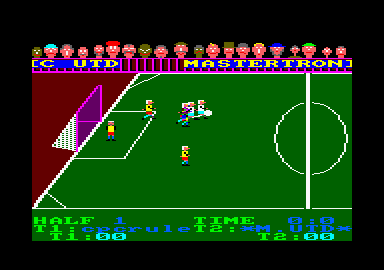 The gameplay consists of getting behind the ball and booting it forward a few times; if you're lined up with the goal you just have to keep kicking and it will go in. The opposition will do likewise. To stop them you just have to run past them, turn around and run head-on into the relevant player, kicking wildly. If enemy action gets close to the goal, control switches: to .your keeper, but it's usually too late1 to do anything about a goal being scored. The graphics are chunky and garish and the gameplay very monotonous. 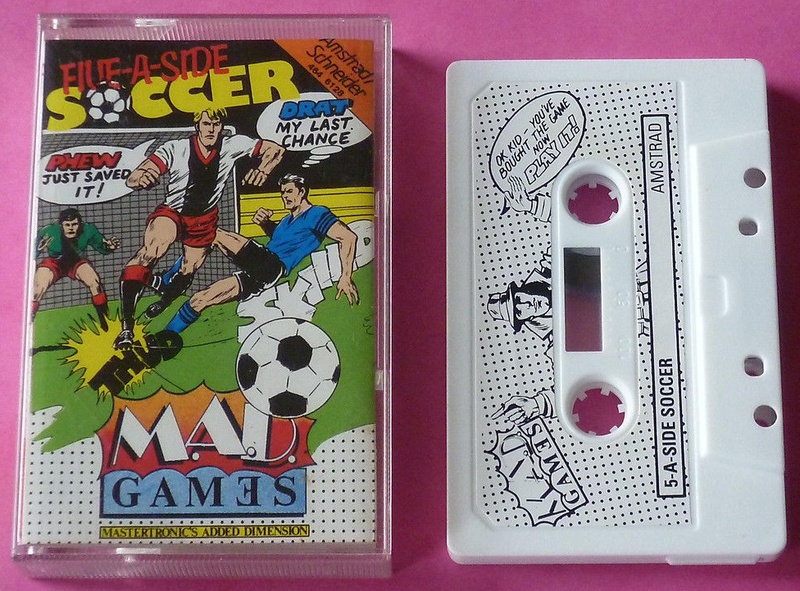 A rather sorry product, and the sooner it's forgotten the better.